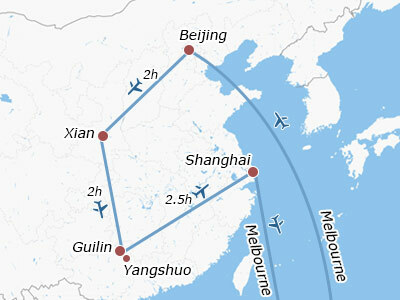 There is a direct flight available from Melbourne to Beijing every Monday, Wednesday, Friday and Sunday, which takes around 12 hours. We will book the ticket and confirm flight information with you in advance. On the day of travel, you need to head to airport by yourself. Upon arrival, you will meet the guide after reclaiming luggage and clearing customs at the airport. He or she will accompany you to hotel. 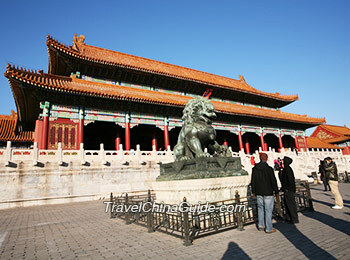 Then, you can have a rest or get acquainted with Beijing by yourself. Your China Tour from Melbourne starts today. 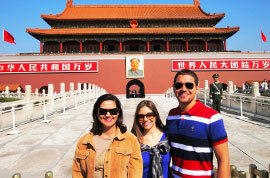 You will be guided to Tiananmen Square first, and then visit the Forbidden City which was the Chinese imperial palace from the Ming Dynasty (1368 - 1644 AD) to the end of the Qing Dynasty (1644 - 1911 AD). We will serve you an a la carte welcome lunch with authentic Chinese food and Peking Roast Duck at a nice restaurant. Continue our journey to the Temple of Heaven after lunch, where emperors of the Ming and Qing dynasties prayed to Heaven for good harvest. Accompanied by our guide, you can enjoy a traditional Chinese Kung Fu Show at the Red Theater in the evening. The first stop of today's itinerary is Mutianyu Great Wall in the suburb area, which is one of the most essential sections of the Great Wall. As the restaurants near the attraction do not meet our service standard, we do not arrange lunch today. We recommend you to bring some fast food or snacks. 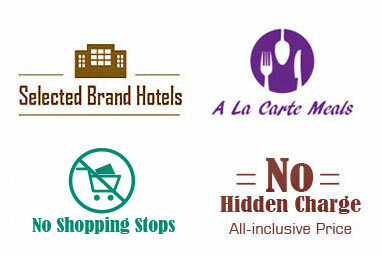 If you would like to dine in nearby restaurants, our guide will assist you. We will arrange round-trip cable car up and down from the wall, and specially prepare red wine for you to have a toast on the wall, which will leave unforgettable memories for your China tour from Australia. In the afternoon, go back to the downtown. On the way, we will have a short stop at the Olympic National Stadium for a brief visit of the Bird's Nest building. Then spend some leisure time exploring a local market. Today's China tour from Melbourne will take you to the most well-preserved royal palace garden - the Summer Palace, which is a vast ensemble of lakes, gardens and palaces in Beijing. Then, you will be guided to Beijing Hutongs. We will arrange rickshaws for you to travel along the narrow lanes. After, experience Chinese Paper Cutting. At noon, we will serve you an a la carte lunch at a great restaurant. In the afternoon, our guide will transfer you to the airport for flight to Xi'an. Upon landing, our Xi'an local guide will pick you up at the airport and help you check in the hotel. After breakfast, our guide will accompany you to Terracotta Army which has three main pits displaying wonderful terracotta figures and Chinese ancient weapons. 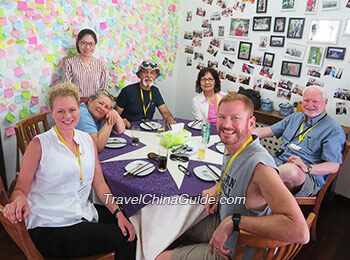 Then, we specially arrange you an a la carte lunch at a local family where you can also learn to cook Chinese dishes from the host. 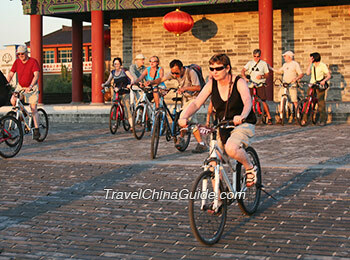 In the afternoon, continue our itinerary to the Small Wild Goose Pagoda and Xi'an Museum. Then, watch the splendid Tang Dynasty Music and Dance Show while having the famous Dumpling Dinner and you will spend a fantastic evening. Today your memorable trip starts from the City Wall Park, which is a popular place for local people to relax and do morning exercise. You can observe daily life of the locals. We will also invite a master to teach you Tai Chi at the park, an internal Chinese martial art practiced for both its defense function and health benefits. After that, you will be accompanied to visit the City Wall. At noon, an a la carte lunch will be provided for you at a great local restaurant. In the afternoon, extend our China tour from Melbourne to Shaanxi History Museum, which houses over 370,000 items, including murals, paintings, pottery, coins, as well as bronze, gold, and silver objects. Then, our guide will take you to Great Mosque, one of the oldest and best-preserved Islamic mosques in China. Near the mosque is a Muslim Quarter, where you can buy some souvenir or taste local snacks. 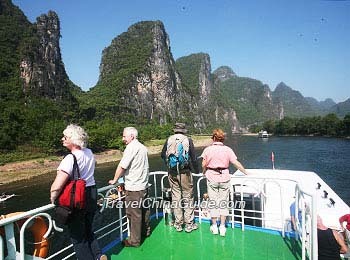 After breakfast, our guide will transfer you to the airport for the flight to Guilin. 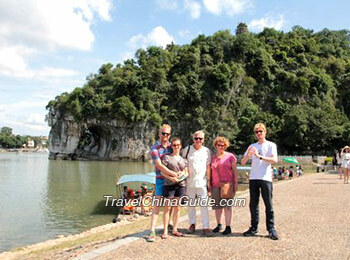 Upon arrival, our Guilin guide will meet you at the airport and help you to check-in at the hotel. After a short break, we will make a half day trip to Reed Flute Cave and Elephant Trunk Hill, which are popular attractions in Guilin. 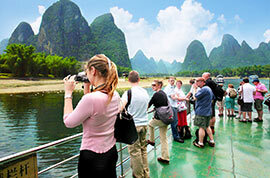 Today, our guide will accompany you to cruise down Li River to reach Yangshuo. Li River is the essence of Guilin landscape, especially the section from Guilin to Yangshuo, which like a jade belt wrapped in the green peaks. The duration on the cruise ship is around 4.5 hours. Disembark and walk along the famous West Street. Afterward, we will go to Yangshuo countryside and appreciate charming rural scenery. Along the way, visit the local villagers' home and learn about local customs and culture. Then, go back to Guilin by car. Tips: Unfortunately the lunch on the cruise is the simple Chinese lunch box, which is not up to the standard that we would like. So we recommend you take a hearty breakfast in the morning or bring some fast food with you. This morning our guide will transfer you to airport for the flight to Shanghai, which is the last stop of your China tour from Melbourne. Upon landing, our Shanghai local guide will pick you up at the airport and take you to the hotel. The rest of the day is left free for you. You can have a rest or get familiar with Shanghai. Our guide will guide you to Shanghai Museum which displays art works of ancient China, especially bronze ware, chinaware, calligraphies and paintings. Later, visit Yu Garden and its nearby traditional bazaar. The symbol of the garden is the Nine Zigzag Bridge built of granite and grass-white jade and the quaint, elegant mid-lake pavilion. Around noon, an a la carte farewell lunch will be served to you at a reputed restaurant. 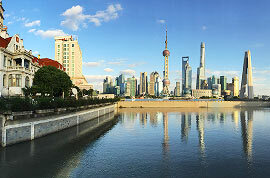 In the afternoon, you will be guided to have a walking in the Former French Concession, where you can learn about Shanghai's colonial history and enjoy the unique aspect of Shanghai. 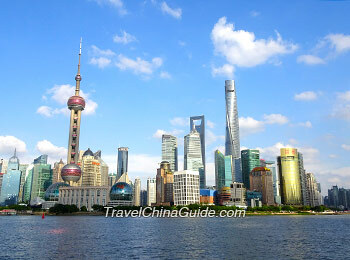 Then, go to the Bund, a waterfront area in central Shanghai. Then, we will arrange a one-hour cruise along the Huangpu River. At the end of the day, our guide and drive will say bon voyage in the hotel lobby. Today our China tour from Melbourne is going to be finished. You need to head to airport on your own. We recommend you to reserve a taxi at the hotel reception beforehand to save time. If you need an airport transfer, we will be very glad to assist you. We wish you all the best! We are now back home safely after our wonderful trip. 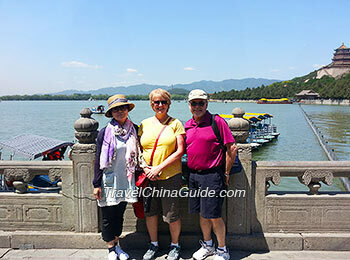 I congratulate (TravelChinaGuide) for the excellent organisation, care, attention and professionalism shown to us by Vera – my consultant and the company at all times. Hotels were excellent, food generous and of fine quality and the organisations were of extreme value and very educative. I was not sure what to expect on this my first real visit to China and I must say how impressed i am by the country, the people and even the system, which although slightly different from ours seems to work very well. Our guides were also excellent with great knowledge of everything they talked about and were always an integral part of our group.